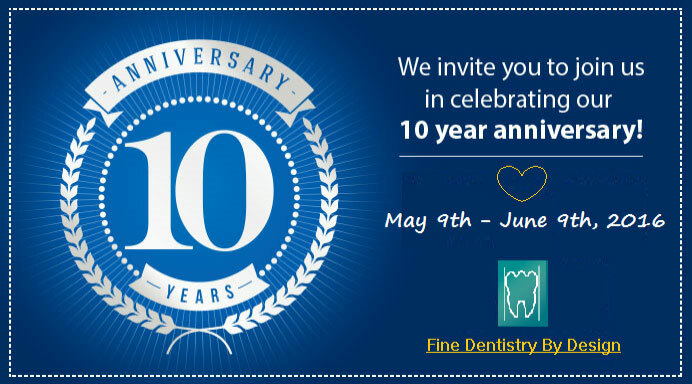 Fine Dentistry by Design is getting ready to celebrate our 10th anniversary, and we couldn’t be more grateful to our patients! Naturally, we want to thank all of our friends and invite you all to come celebrate this important milestone with us. We are truly excited to be celebrating our 10-year anniversary. It has been such an honor to serve our community with personalized, health-centered dentistry, and we think this is a great opportunity to thank all of our patients for putting their trust in us. With a variety of comprehensive procedures, our practice is always evolving with the latest techniques. Services include cleanings, root canals, extractions, teeth whitening, dental implants, dentures and partials, crowns, bridges, laser dentistry and Invisalign, just to name a few. Fine Dentistry by Design has been providing dental procedures to the community since May 8, 2006. What an awesome day for our 10 year anniversary to fall on Mother's Day this year. 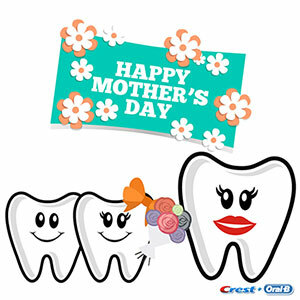 Happy Mother’s Day from Fine Dentistry By Design! At our office, family is everything. This includes our wonderful patient community and all the families that we get to serve every day. Today, we would like to recognize all the Moms that are so important to their families and to ours. As always, we want to thank you, our patients, for being a part of our family and celebrating with us with your big hearts and bright smiles. We wish you all a very happy Mother’s Day. *Please call our office at 301.984.2200 to schedule your dental appointment and for details on 10% off your unscheduled treatment.